Donkey Kong Country Tropical Freeze - Nintendo Wii U Just $30 Down From $50! 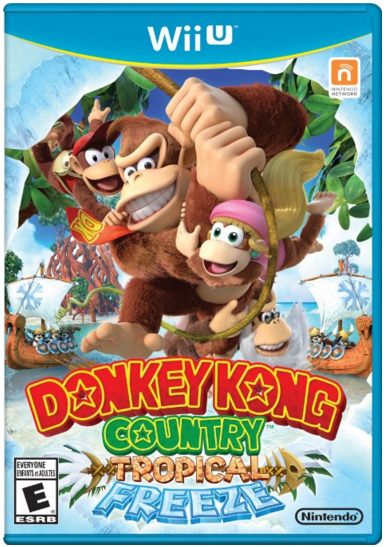 You are here: Home / Great Deals / Amazon Deals / Donkey Kong Country Tropical Freeze – Nintendo Wii U Just $30 Down From $50! Donkey Kong Country Tropical Freeze – Nintendo Wii U Just $30 Down From $50! Head over to Amazon and score this great deal on Donkey Kong Country Tropical Freeze – Nintendo Wii U for just $30 down from $50! Get yours now while it lasts! Dixie Kong and Cranky Kong join the adventure as playable characters alongside Diddy Kong. Explore new dynamic levels that twist, turn, and transform in new ways. Enjoy spectacular views from the dynamic rotating camera. On their journey to reclaim Donkey Kong Island, Donkey Kong and his friends travel across five islands with a variety of stages that include underwater areas and frozen environments. Enhance Donkey Kong’s exploration and unlock secrets with a variety of new moves, including a “plucking” system to pull items right out of the ground. Team up with friends in a cooperative multiplayer mode that lets two players share in the fun together.